East Atlanta Village (EAV) is known as a nightlife hotspot as it is home to several of the city’s favorite intimate live music venues. EAV was also voted the No. 3 “Hottest Neighborhood in the Country” by Redfin Corporation in 2015. The immediate blocks surrounding the intersection of Flat Shoals Avenue and Glenwood Avenue pulse with live entertainment, good eats and community festivals and events. The EARL (East Atlanta Restaurant and Lounge) is one of Atlanta’s most popular alternative music venues. Since it opened in 1999, the EARL has hosted major acts ranging from local up-and-coming performers to nationally-established indie acts. 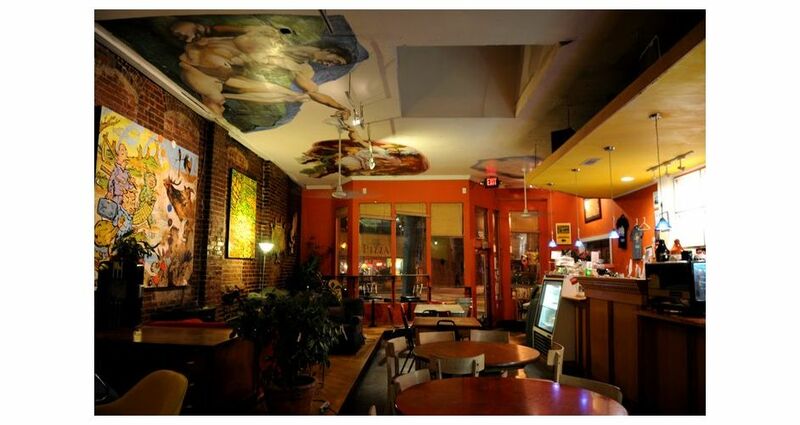 Grab a cup of Joe while sitting under the mock drawing of the Sistine Chapel at Joe’s East Atlanta Coffee Shop. This local hangout has a rainbow of comfortable couches made for relaxing with local artwork covering the walls. Voted best outdoor farmer’s market by Creative Loafing Magazine four years in a row, the East Atlanta Village Farmers Market is known for its hip, urban vibe and features locally-grown vegetables and fruits, organic meats, dairy, eggs and artisan produced breads. The market runs every Thursday from April through December. Brother Moto is a one-of-a-kind hybrid of a motorcycle club and repair shop. Motorcyclists stop in to get tools and expert advice on how to fix their motorbikes themselves. Non-bike owners shop for specialty goods and sip on an espresso right in the shop. Dance the night away at the Graveyard Tavern. This East Atlanta hangout stays open into the early hours of the morning and hosts live music acts and DJ nights.